South Africa accused US President Donald Trump of fuelling racial tensions yesterday after he said farmers were being forced off their land and many of them killed. Trump's tweet touched on the overwhelmingly white ownership of farmland in South Africa — one of the most sensitive issues in the country's post-apartheid history. "South Africa totally rejects this narrow perception which only seeks to divide our nation and reminds us of our colonial past," said the government on an official Twitter account. The foreign ministry said in a statement it would meet officials at the US embassy to challenge the "unfortunate comments," which were "based on false information." Foreign Minister Lindiwe Sisulu will also speak directly with her American opposite number, Secretary of State Mike Pompeo, it added. Trump wrote overnight: "I have asked Secretary of State… Pompeo to closely study the South Africa land and farm seizures and expropriations and the large scale killing of farmers." His tweet apparently followed a segment on conservative Fox News about Pretoria's plan to change the constitution to speed up expropriation of land without compensation to redress racial imbalances in land ownership. "'South African Government is now seizing land from white farmers'," said Trump's post, which tagged the show's host, Tucker Carlson, as well as the channel. Ahead of South African elections in 2019, President Cyril Ramaphosa has vowed to accelerate land reform in order to "undo a grave historical injustice" against the black majority during colonialism and the apartheid era. Even though apartheid ended in 1994, the white community that makes up eight percent of the population "possess 72 percent of farms" compared to "only four percent" in the hands of black people who make up four-fifths of the population, Ramaphosa said. The imbalance stems from purchases and seizures during the colonial era that were then enshrined in law during apartheid. Seeking to redress the situation, Ramaphosa recently announced that the constitution would be amended to allow for land to be seized and redistributed without compensation to the current owners. But the plans have yet to be approved by parliament, and there is a vigorous debate in South Africa about how land redistribution would work — and whether seizures could be economically damaging as they were in post-independence Zimbabwe. Earlier this year, Australian Immigration Minister Peter Dutton sparked a diplomatic row with Pretoria after he said that Canberra should give "special attention" to white South African farmers seeking asylum because they faced a "horrific" situation. The level of violence against farmers is hotly contested but the police's latest figures show there were 74 farm murders in 2016-17, according to the Africa Check fact-checking site. South Africa's leading farming lobby group AgriSA on Thursday praised the government's "commitment to agriculture". "As a country it's important that we find solutions together — we did this pre-1994 and we can do it again," AgriSA chief executive Omri van Zyl told the SABC broadcaster. Van Zyl was speaking at a conference on the land issue also attended by Deputy President David Mabuza who warned against "spreading falsehoods". "We would like to discourage those who are using this sensitive and emotive issue of land to divide us," he said. But Kallie Kriel, chief executive of AfriForum — a group that advocates for its largely white membership — welcomed Trump's intervention and attacked Ramaphosa for pressing ahead with the policy. "We need to get international support to put pressure on the South African government to hopefully make them re-visit their stance," he told AFP. 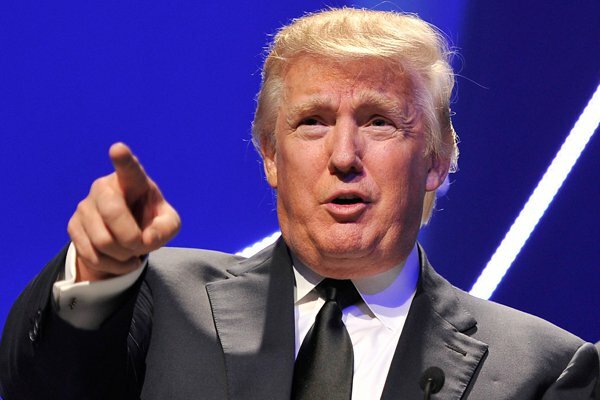 Kriel added that Trump could suspend South Africa from the African Growth and Opportunity Act trade programme if property rights were not respected. "The US has a lot of power," he said. South Africa's rand currency dropped as much as 1.9 percent against the US dollar following Trump's tweet, according to the Bloomberg news agency, ending four days of gains against the greenback. Julius Malema, the leader of the radical opposition Economic Freedom Fighters party, called Trump a "pathological liar" and told him to "stay out of South Africa's domestic affairs". "South Africa is a post-colonial country seized with deep racial inequalities," he said at a media briefing in Johannesburg.